The Bullet Hole is in Delaware County, Town of Andes, near the hamlet of Andes. Good post. There is a lot of interesting stories here. I grew up on a small dairy farm on the western edge of the Catskill Mountains in upstate New York. The farm was in a little hollow that was called the "Bullet Hole". 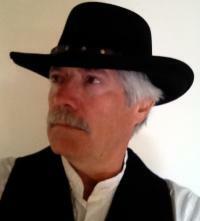 I spent a lot of time as a kid in the fifties roaming the farm and playing cowboy, and I am still doing it.